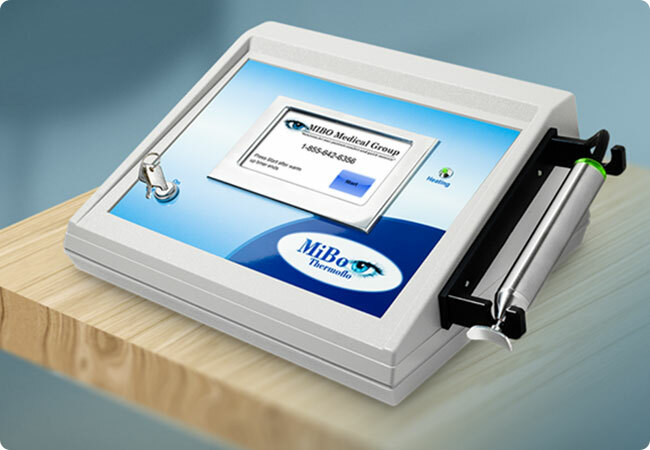 The MiBo Thermoflo supplies continuous controlled heat that is applied to the outer skin of the eye lids along with ultrasound gel for a gentle massage. The heat is absorbed deep into the tissue and breaks down the hardened lipids in the meibomian glands. 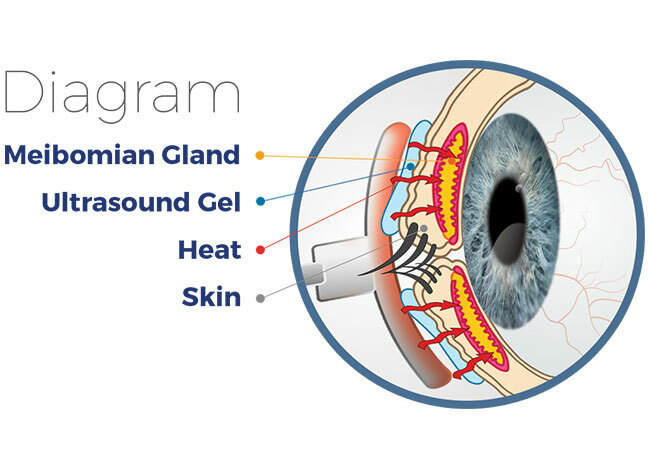 With a specific prescribed therapy regimen the ducts of the meibomian glands will secrete thinner and clearer lipids which will allow for a healthier tear film. For best results it's recommended doing 3 treatments 2 weeks apart. Evaluating the patients after the cycle of treatments they might require a 4th treatment. 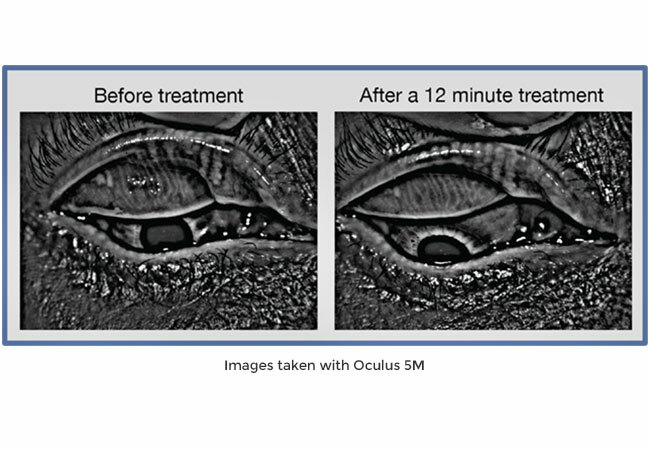 Most patients have been going 12 months before requiring additional treatments but some request frequent treatments for comfort due to daily eyestrain.